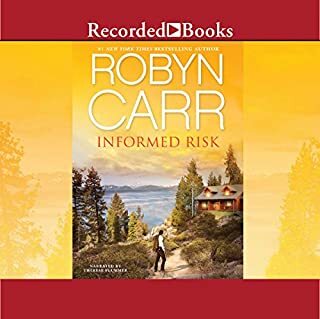 Robyn Carr’s best-selling Virgin River series captivates fans with stories of young men and women given second chances at love in a small northern California town. Four years ago, Sean and Franci broke up when he refused to commit. Now vacationing in Virgin River, Sean is shocked to run across Franci again. He’s grown up and wants to give things another shot, but she can’t afford to have him break her heart again. Take another trip down the Virgin River. 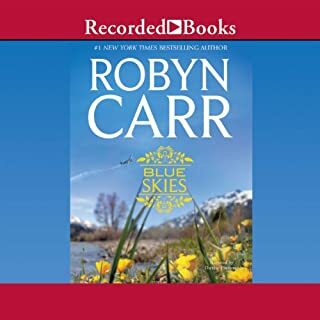 I love Robyn Carr's Virgin River series and have everyone of them. 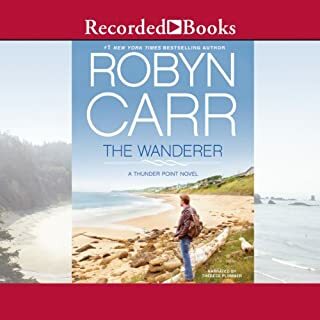 I can't wait until they come out on audio and the best part is that they have kept the same narrator, Therese Plummer, she is also fantastic. This is one of my more favorite stories of the series, lots of emotion, excellect character development, love story and ending. I can't wait for more by Robyn!! Keep them coming Audible! Always good to return to Virgin River, a town with supportive family, neighbors and friends. I appreciate the range of age in the characters in this series too, from young to old. The focus of this book is Luke Riordan's younger brother Sean. The Roirdon family's Irish Catholic values play a part in the story too. It is another story about unplanned pregancy which RC tells in a sympathic and thoughtful manner. Sean reunties with an old flame Franci, the girl that got away! The book focuses on their past relationship and building the future with a young daughter. This book lacked the suspenseful scenes usually in all RC books, but remained true to Virgin River format, always making you feel good! They are imperfect people who recognize just that, families that stick together through it all and friends that help out with a kind word, or a hammer, or a meal. Virgin River Characters come alive! 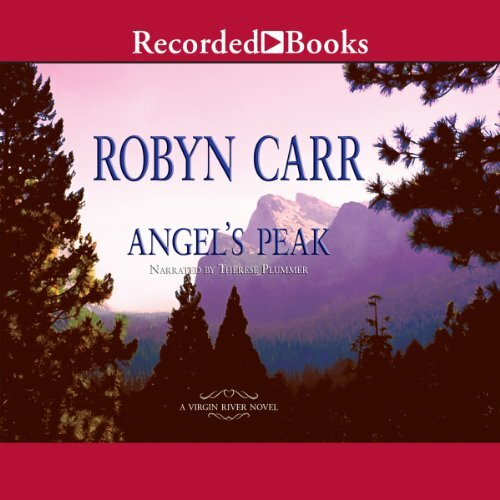 The combination of great characterization and fantastic narration made Angel's Peak my favorite so far in the Virgin River series. Ms. Carr perfectly captured a 3 year old's behavior. She makes you fall in love with this little girl! This book will make you laugh out loud and cry some real tears. 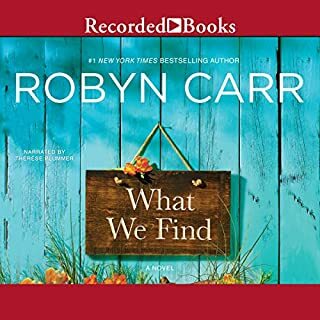 I love the way Ms. Carr lets the reader catch up with all of the other Virgin River characters while telling the story of the primary characters within each book. Excellent series! What did you love best about Angel’s Peak? Franci is a selfish b***h i hate woman who keep children from the father, (Evan if he says he is not ready ) the poor grandmother . I don't know how i would react if that happened to one of my sons . Franci was a good mother and redeemed herself in the end, but the first 3h of the book really annoyed me. I listen to the book but it was not one of my favorites in the series. best thing about the book is all the other characters. I LOVE JACK AND PREACHER they are the men in my dreams (don't tell my husband). What was one of the most memorable moments of Angel’s Peak? when jack say every time he hears the cartoon music he gets a woody as that means it play time for him and his wife. best line ever . I love Therese Plummer she is so far the best audible narrator. when Rosie and Sean meet, and Sean wakes up with Rosie's work all on him. I have not listened to all of the Virgin Rivers books, but the ones I have read have been good. Don't you wish all persons would do the honorable thing. Therese Plummer always does a great job! 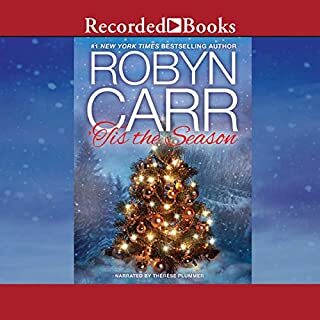 I just love these series of books by Robyn Carr. This book had me laughing just about all the way through. Reading Moonlight Road now then intend to listen to them all again. Highly recommend each one in the series. I miss the main characters! The plot was cute but overall the book was a little disappointing. The other books in the series made the reader fall in love with the town Virgin River. The characters in this story only visited the town, and did not fully become part of the close knit community. This was my least favorite of the series so far. It's always nice to get updates on the secondary characters from previous books, but the story between the two main characters lacked excitement and really didn't do much to hold my interest. I still look forward to the next installment in the series, but I hope the lead characters are a bit more endearing and interesting. 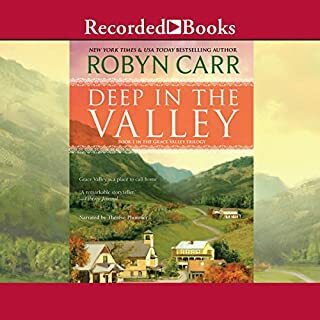 However, this is a GREAT series overall, and I recommend starting with the first book, Virgin River, and enjoying the unfolding of truly wonderful stories about a fantastic cast of characters! Wasn't sure what I would make of this as the outline didn't seem to have any familiar characters from VR as a central theme. However, how wrong I was! This story is fantastic and ties up so may other ends left from pervious books in the series as well as adding to what one can only hope/assume will develop later. This story will have you laughing and in tears as it takes you on an emotional roller coaster. Outstanding. I recommend any one to read. as they have had me laughing and crying. I look forward to more stories from Virgin river.